The law firm of Finger and Finger was founded in 1974 by Kenneth J. Finger. Currently the firm has four principal lawyers, Kenneth J. Finger, Dorothy M. Finger, Carl L. Finger, and Daniel S. Finger. 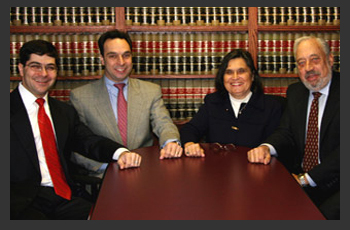 We are a family law firm, Kenneth and Dorothy are husband and wife, and Carl and Daniel are their sons. © 2019 The Law offices of Finger & Finger, A Professional Organization. All rights reserved.